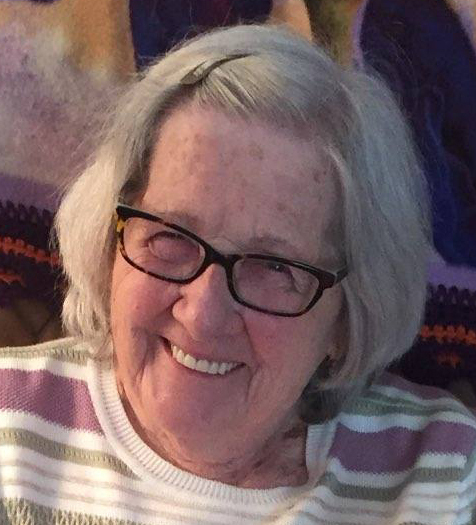 Barbara M. Smith, 86, of 369 Howard Ave., formerly of Baker Street, went home to be with the Lord, Monday, April 8, 2019, in her home. She was the widow of John S. “Jack” Smith, whom she married April 2, 1955, and who died June 7, 2018. Barbara was born April 18, 1932, in the family home in Jamestown, and was a daughter of the late Milo and Kathryn Walker Mansfield. In earlier years, she was employed as a bookkeeper by the former Jamestown Table Co. and later in the medical office of the late Dr. Robert Wettingfeld. She also served as secretary at the Camp Street United Methodist Church for many years. Barbara always looked forward to gatherings with her high school women’s reunion club. Surviving are three daughters: Lynn Anne Smith of Falconer, Lana Kay (Ken) Keller of Lakewood and Lisa Marie (Randy) Smith of Randolph; six grandchildren: Keith (Shawna) Kohlbacher of Jamestown, Staff Sgt. Jaden Smith serving with the U.S. Army 82nd Airborne Division, Caleb (Patty Keller) Smith of Randolph, Kara (Ian) Loggans of Silver Creek, Crystal (Jack) Vogt III of Frewsburg and Kelly (Mike) Schifano of Jamestown; seven great-grandchildren: Alexandria Cornell and Alyssa Cornell of Silver Creek, Kaia Kohlbacher, Annika Kohlbacher and Mia Grace Schifano, all of Jamestown, Sophia Vogt of Frewsburg and Lincoln John Smith of Randolph. Also surviving are two sisters: Patricia Larson of Jamestown and Jeanette Mansfield of Lakewood; a brother, Fred Mansfield of North Carolina; sister-in- law, Judy Mansfield of Sinclairville; and many nieces and nephews. In addition to her parents and her husband, Jack, she was preceded in death by a brother, Dale Mansfield; sister, Marlene Dilker; and son-in-law, Michael F. Lanphier . A memorial service will be held at 4 p.m. Saturday in the Lind Funeral Home. Pastor Scott Smith, associate pastor of Busti Church of God and Barbara’s nephew, will officiate. Friends will be received from 2-4 p.m. Saturday, for two hours prior to the service in the funeral home Saturday. Memorials may be made to Busti Church of God, 996 Forest Ave., Jamestown, NY 14701. To leave a condolence for the family, please visit www.lindfuneralhome.com.